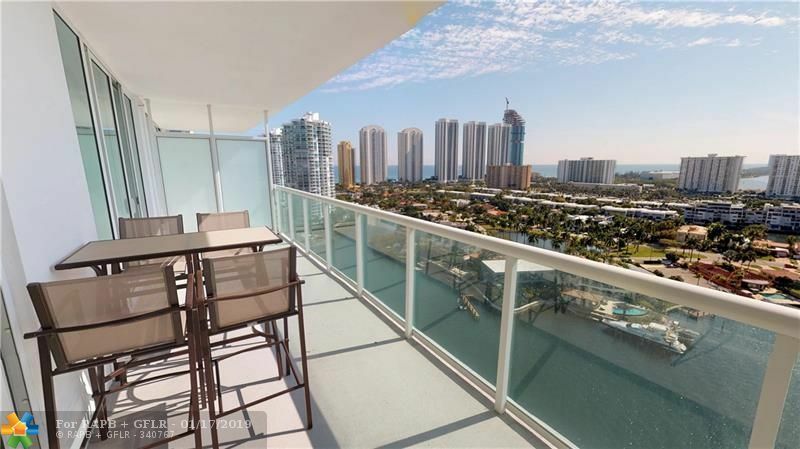 Two story unit with 2 BEDS and 3 FULL BATHS + Den(can be converted into a 3rd Bedroom) Ocean and Intercostal view from a huge balcony. Many amenities including tennis courts, infinity edge pool, spa and fitness center, 24hr valet, private marina, concierge & security. Dock your boat at the private marina, with dry & wet dock slips available. Directions: From I-95 Take 163 Street, Cross Us-1 Keep Left And Do U-Turn At Collins Or Take The Business Loop Before The Bridge To The Building.